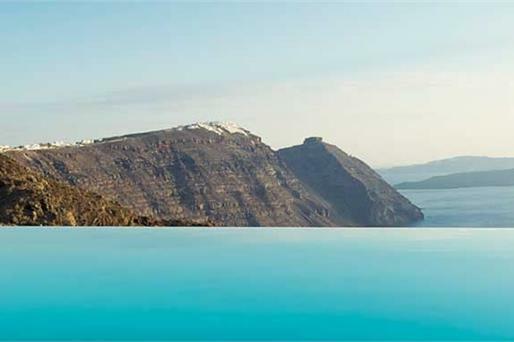 The elegant Andromeda Villas & Spa Resort are situated in scenic Imerovigli , 300 metres above the dramatic Caldera . 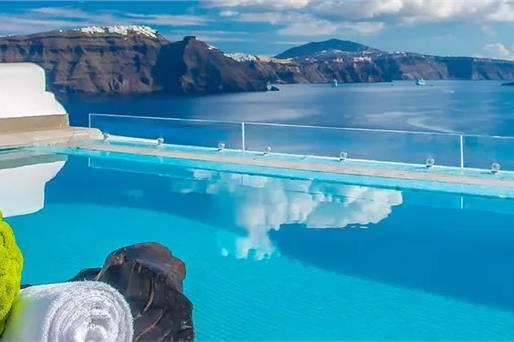 A swimming pool with views to the Caldera, sun terraces with complimentary sun beds and sunshades, lounging areas with hot tub s are all featured. The traditionally styled rooms and suites are characterized by simple elegance, yet equipped with all modern amenities. 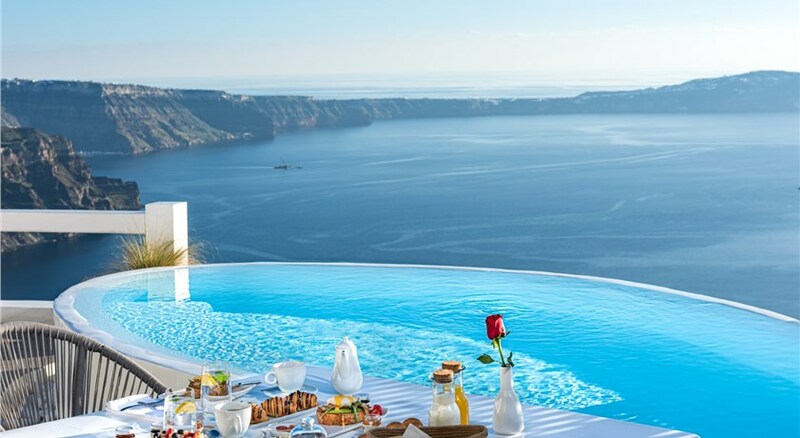 Your dining and drinking options at Andromeda Villas & Spa Resort include the breakfast room, restaurant, dinner restaurant, and outdoor cafe and pool bar. 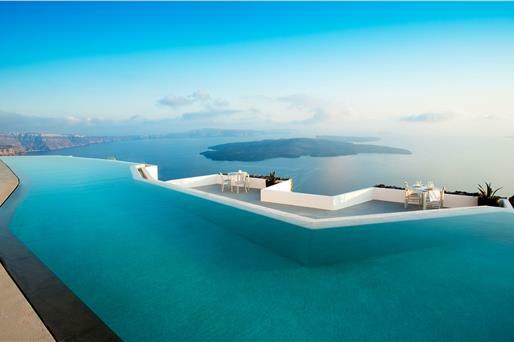 Guests may relax in the sun terrace by the pool, enjoying breathtaking views to the caldera and the Aegean Sea. 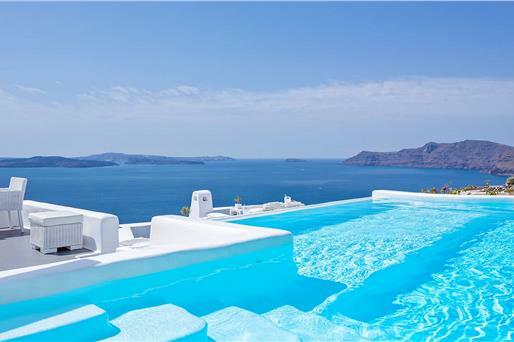 Moreover, an outdoor cafe and a pool bar are at guest’s disposal. 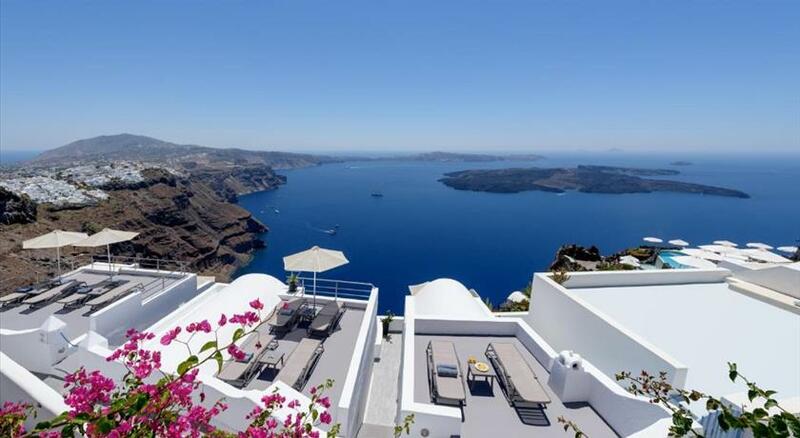 The location is ideal to explore the island and its unique beauties. A great number of exquisite restaurants , bars and shops can be found nearby. 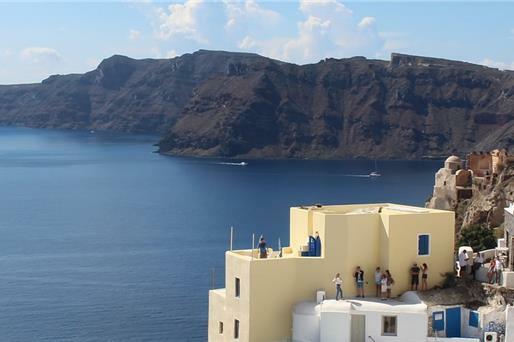 The capital of the island, Fira, is only 2 km away. Taken from a drone fly over that shows the hotel from above. 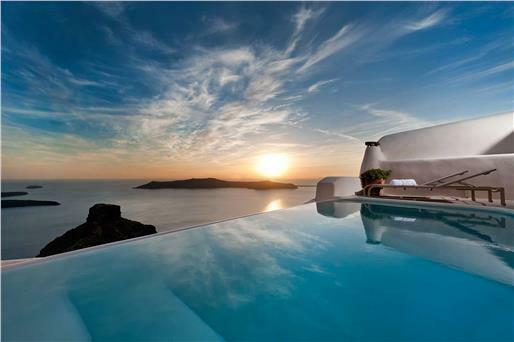 Andromeda Villas & Spa Resort is located in Imerovigli's caldera. All children are welcome. One child under 6 years is charged EUR 20 per night when using existing beds. All children under 2 years stay free of charge for children's cots/cribs. All children under 12 years are charged EUR 35 per night for extra beds. All further older children or adults are charged EUR 35 per night for extra beds. The maximum number of extra beds in a room is 1. 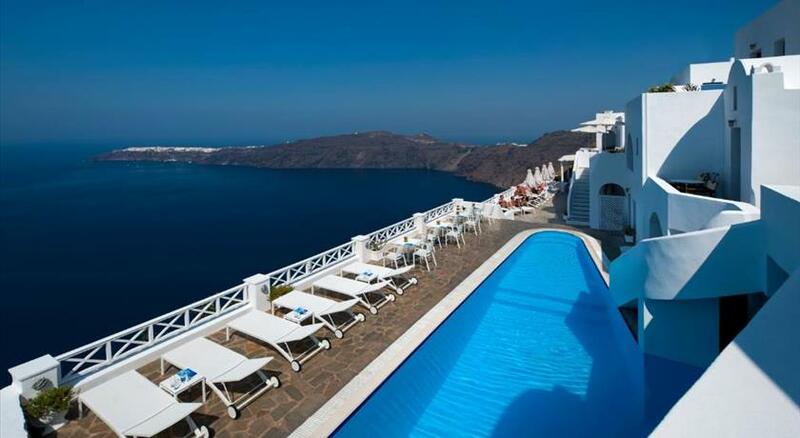 Please inform Andromeda Villas & Spa Resort in advance of your expected arrival time. You can use the Special Requests box when booking, or contact the property directly with the contact details provided in your confirmation.